After talking with our members we decided to have a shuffle around of the timetable and we think you’re going to love it! – Wrestling with Zlatomir is back! – There are more Mini Ninjas classes. – More Teen Kickboxing and MMA classes have been added. – We are introducing over 40’s Boxing classes. – We’ve also added a Teen only Boxing class. – Our popular fitness class ‘Fit Club’ is back. – We’ve extended our opening hours throughout the week and weekend. – Our Brazilian Ji Jitsu classes have nearly all been extended to an hour and half long. – We now hold 50+ classes a week! We’ve had to adjust some of the class timings but we hope you all agree it was well worth it. 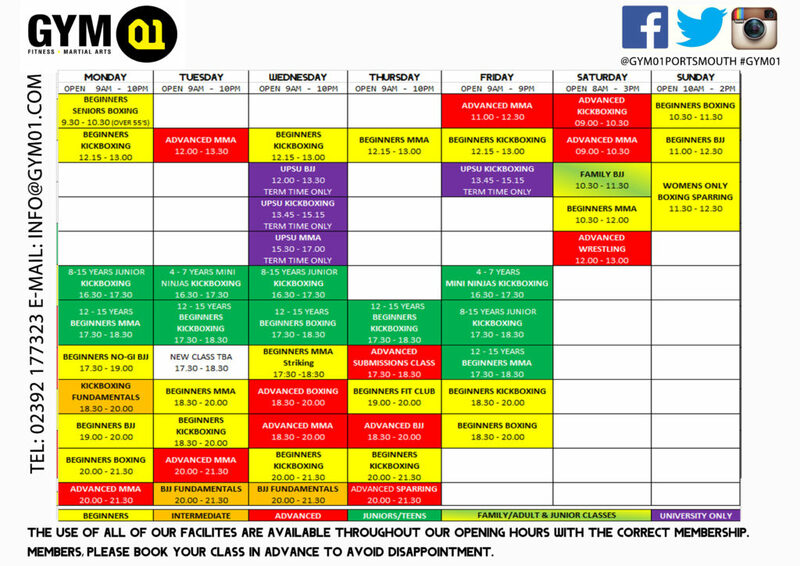 The new timetable comes into effect from Monday February 4th and all classes will remain the same until then.